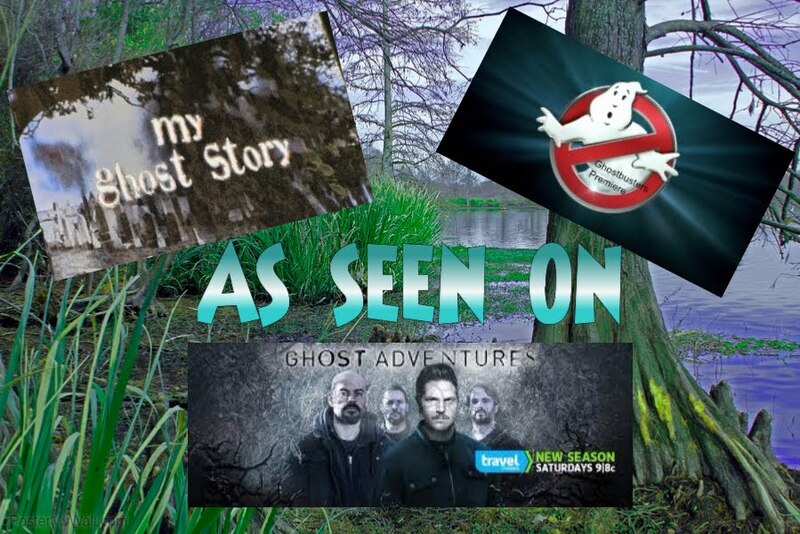 Becky Vickers(BECKS) - Everyday Ghost Hunters/Goatman's Bridge Ghost Tours: LET THE "GOOD TIMES ROLL"..........WELL.....IF YOU'RE BRAVE ENOUGH!!!!! LET THE "GOOD TIMES ROLL"..........WELL.....IF YOU'RE BRAVE ENOUGH!!!!! I ran across this picture on Google and it caught my attention! 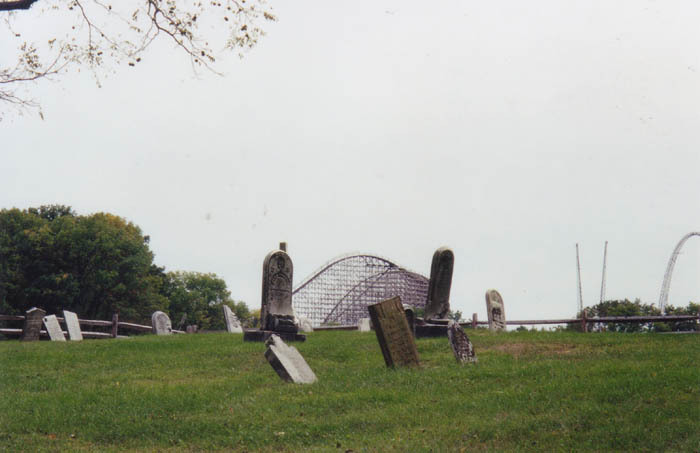 Two of my favorite things.....amusement parks and cemeteries! So here's the story behind this super cool photo!!!! Tons and tons of visitors every year come to the best amusement park in Ohio, Kings Island. The trills and excitement of the rides.....the dips, the lift from your seat as you ride The Beast, the smell of cotton candy, the tilt-a-whirls slinging you from side to side and all you can think is....."I want to do it again"!!!! Well, guess what????? You are NOT the only one that finds the amusement park.....amusing!!! If you look closely, you may just catch a glimpse of a ghostly young girl skipping through the Kings Island parking lot. 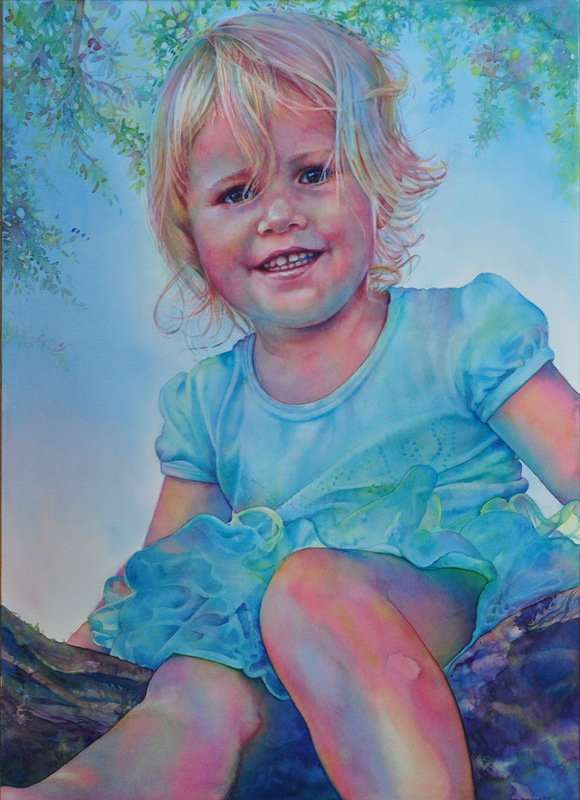 Often described as having blond hair and wearing a blue dress, she is apparently quite playful. Some witnesses report that the little girl likes to play hide-and-seek among the cars, and park tram drivers claim she frequently darts out in front of the tram in a bizarre game of "chicken". The girl's identity and her reasons for haunting Kings Island have long been debated, but most agree that her ghost originates from a local attraction you won't find listed on any park map! Next to the parking lot exit gates sits a cemetery in full view of all the visitors to the park. Although, the visitors may never even notice that "they" are being watched, the residents of the cemetery seem to be happy watching the excitement from afar. Well, that is......except for one little girl!!! Over the years, the cemetery has been known by many different names, including the United Methodist Cemetery and the Dog Street Cemetery. For a long time, it was simply referred to as the Dill Cemetery or the Hoff Farm Cemetery to reflect the names of the various landowners. In the late 1800's, the King Powder Company opened for business, and although it ceased operation in the 1940's, the King family continued to own the land until large portions of it were purchased to create Kings Island Amusement Park in 1972. Almost all of the existing buildings on the property were demolished to make way for the park's rides. 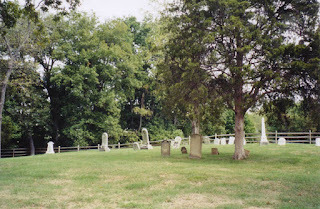 The cemetery, however, was allowed to stay. Well, that's a good thing right? Today the cemetery sits quietly behind a wooden fence at the far end of the Kings Island parking lot. 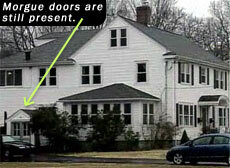 Since it is only about twelve feet from the pavement, a popular urban legend state that the girl in the blue dress ghost arrived on the scene when her grave was inadvertently paved over. Another theory arises from the baffling disappearance of numerous gravestones over the years. In the 1980's an unofficial count of the cemetery stones revealed that there were approximately sixty-nice stones within it confines, but in 2005, only fifty-two remained. 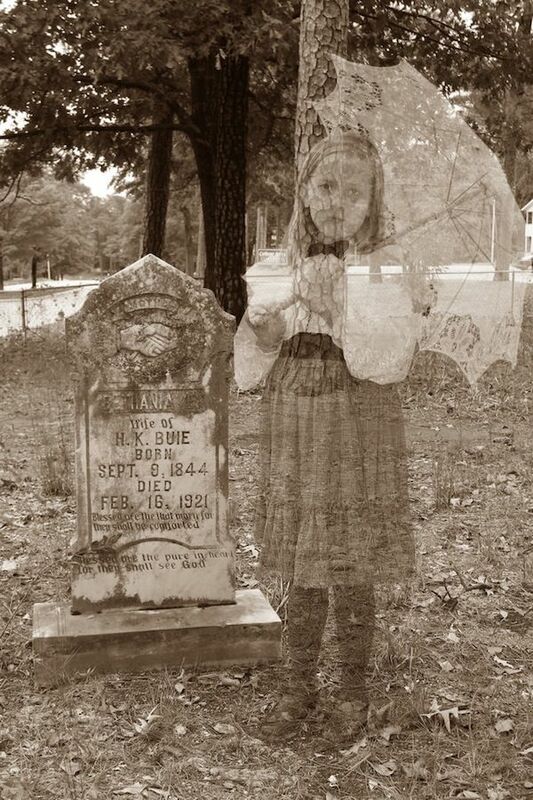 In the paranormal field it is believed by many that disturbing a final resting place of individuals often results in a haunting as the spirit searches to make its grave "whole" again. Maybe this is why the little girl is seen....or maybe...just maybe.....she likes roller coasters!!! to! !